For those looking to step up to an 11-inch optical tube, Advanced VX is a great option. 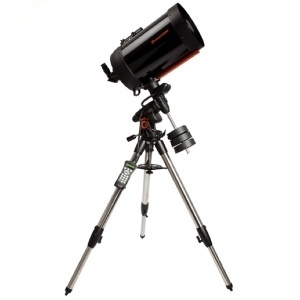 Not only is it Celestron’s most affordable 11-inch telescope, it is also one of the most portable. The Advanced VX mount is strong enough to support this optical tube assembly and a couple of small accessories, yet weighs far less than some of our other 11-inch telescope kits. As far as optics go, the 11-inch SCT gathers 41% more light than the 9.25-inch model. You also get our StarBright XLT coatings for even better light transmission.